Pioneers in the industry, we offer full open mouth drums, wide and narrow mouth round drums, open mouth drum, screen printing - plastic drum and bottles, blow molded drum and narrow mouth drum from India. To handle the precise needs of our customers, we manufacture and supply the optimum quality of Full Open Mouth Drums. 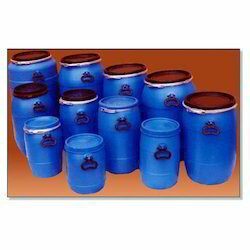 For the purpose of packaging and storage of different types of liquids, the full open mouth drums are used in various packaging industry. Besides this, the full open mouth drums are known for their resistance against leakage and sturdy construction. As a noteworthy entity of this domain, we have been able to manufacture and supply the premium quality of Wide and Narrow Mouth Round Drums. Their high tensile strength, robust construction and resistance against leakage, make the render wide and narrow mouth round drums highly demanded. To handle the ever-changing needs of our customers, we render wide and narrow mouth round drums in various specifications. 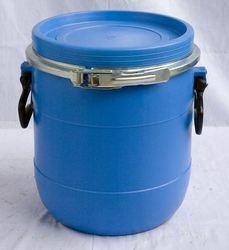 Esteemed as a reliable manufacturer and supplier, we render our customers with the premium quality of Open Mouth Drum. 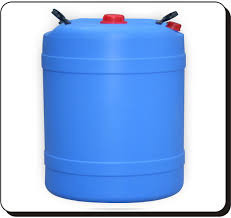 Owing to their durability, leakage proof design, high tensile strength and ability to manage high load, the rendered drums are highly demanded in storage and packaging of various liquids. Motivated to handle precise needs of our customers, we render these drums in various sizes. 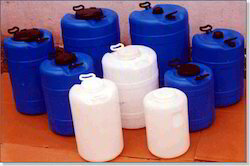 With firm commitment to quality, our organization is manufacturing, trading and supplying a wide range of Plastic Drum & Bottles. The offered plastic bottle is available in various specifications in accordance with the diverse requirements of customers. Also, this plastic bottle is checked on various parameters by our quality experts to make certain its defect free dispatch. Offered plastic bottle is manufactured by making use of finest material & modern techniques as per the market defined norms. 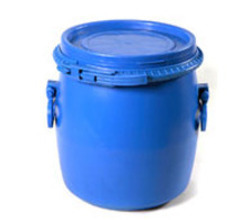 We are counted as one top most manufacturer and supplier of the finest quality of Blow Molded Drum. Resistance against leakage, waterproof construction and seamless finish, makes blow moulded drum highly demanded. Being a quality focused name, our team of quality controllers ensure that the premium quality of blow moulded drum is never compromised at our end. We provide a wide range of recycled Narrow Mouth Drum that has good amount of storage capacity. These cans are fabricated using superior quality material and are highly appreciated by our customers. We adhere to the packaging standards while packing our containers and drums using superior quality material to ensure their safe delivery at their proper location. 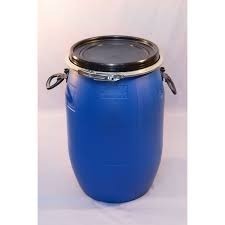 Looking for Plastic Drums ?